After XWIKI-12832 the panels order changed. it is listed first, since $ comes before letters. 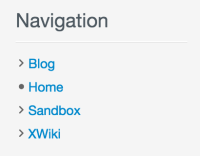 The problem is that XWiki is a technical space, and should necessarily not be the first thing an user sees. A solution Marius proposed is to remove the translation key from the title, since we actually don't provide any translation different from the space name. 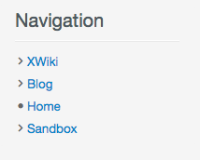 Also XWiki is a brand name, which usually doesn't need a translation.